STORIES BY: María Sánchez Díez. ILLUSTRATIONS BY: Javier Güelfi. Deisy García jotted down these words in Spanish in the first domestic incident report that she filed with police on May 30, 2013. The 21-year-old undocumented immigrant from Guatemala was scared. Her husband, Miguel Mejía-Ramos, regularly beat her in the Queens apartment they shared with their two young daughters and her aunt and uncle. This time, though, his threats drove her to call 911 and to file the report that ended up at the 103rd Precinct in Jamaica. The officers there reportedly did not translate her words (see Deisy García’s report below). On Jan. 18, 2014, eight months and another emergency call to the police later, Mejía-Ramos came back late after work to their home on Sutphin Boulevard. García and their daughters were sleeping in the rear room. Court documents provide this account: Mejía-Ramos had been drinking at a friend’s house. He took his wife’s phone and saw a picture of her next to another man. Consumed by jealousy, the 29-year-old grabbed a kitchen knife and stabbed his wife, as she screamed “Why?” She ran out of bed to another room, where she collapsed and died. Then he walked back into the bedroom where his 1-year-old daughter, Yoselin, slept as 2-year-old Daniela sat up, awakened by her mother’s screams. Mejía-Ramos put Daniela back to bed and gave her a kiss before stabbing her three times. Then he did the same to the baby. He later told police he was going to flee with the children – but realized he didn’t have car seats for them. After trying to commit suicide by stabbing himself in the chest and hanging himself with a strap, Mejía-Ramos took $240 from his wife’s diaper bag and hit the road in his white van. Mejía-Ramos, who was arrested in Texas in his way to Mexico, confessed to the killings and later pleaded guilty. He’s serving 40 years at Attica. The translation of García’s plea for help in Spanish didn’t come to light until a New York Post story published about a month after her murder. “It could have been avoided,” said Roger Asmar, a lawyer hired by García’s family. 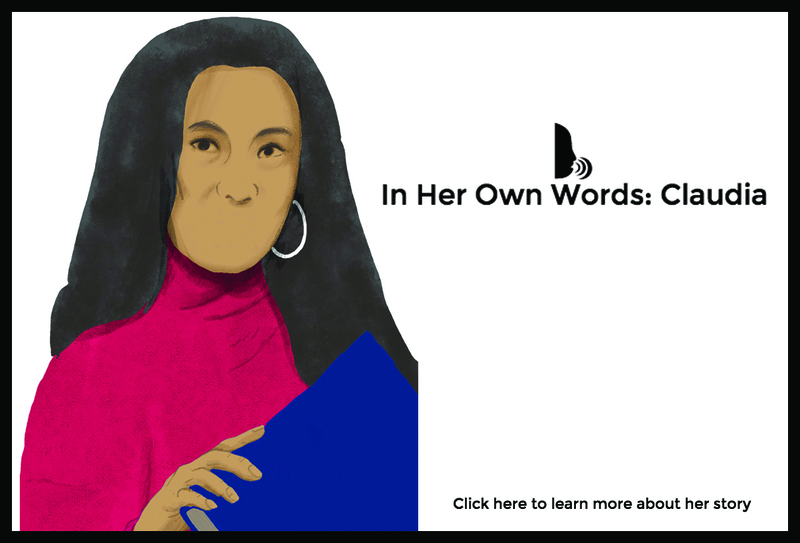 Deisy García’s murder underscored a tragic reality faced by many immigrant women who are victims of domestic violence: Being able to communicate effectively with law enforcement officials can be a matter of life or death. 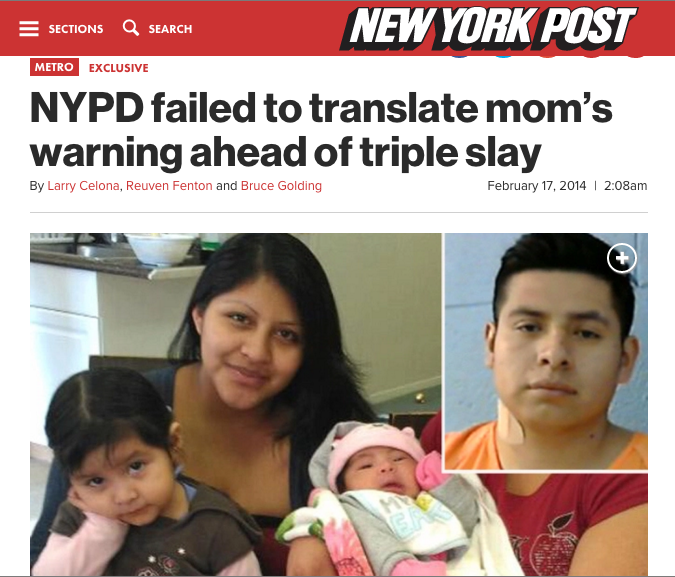 When asked about Deisy García’s slaying, the NYPD noted that the department boasts one of the best translation services in the country. Some 37 percent of employees have some level of proficiency in a language other than English, according to NYPD figures. But the murder and interviews with other Spanish-speaking domestic violence victims in the city suggest the system is still far from perfect. The women say they are consumed by fear – of their abuser, of authority, of not being heard, of being rejected by their own families for exposing private marital strife. Above all, they say they are afraid of deportation and of losing their children. “It’s very scary, because you see a police car arriving and you never know how things are going to turn out,” said Ángela, a 27-year-old undocumented immigrant from Mexico. Like other women interviewed for this story, she requested that her real name not be used. Ángela said she called police twice in 2012 to report beatings by her now-estranged husband. New York has more people than ever – up to 1.8 million or more than 20 percent of the city’s population – whose first language isn’t English, according U.S. Census figures. Many of these people speak English. But others scrape by with minimal proficiency. In recent decades, the NYPD has worked to catch up with New York’s shifting demographics and, like the rest of the city, has become increasingly diverse – thanks in part to a 1978 federal court decision that forced the hires of more black and Hispanic officers. About one-quarter of the force is Hispanic, but it’s not clear how many of those officers are fluent in Spanish. The NYPD says the department has more officers and other workers who speak a foreign language than any police agency in the country. Overall, some 19,000 NYPD employees speak at least one of 75 foreign languages, from Albanian to Yiddish. The department also has 1,200 certified interpreters among its ranks. In 2008, then-Mayor Michael Bloomberg’s administration expanded the city’s language access policy. The NYPD Language Access Plan, published in 2009, requires officers who respond to a scene where interpretation services are needed to find and provide them. This assistance could come in the form of other NYPD employees or via the Language Line, a telephonic interpreting service contracted by the city. Officers have access to a dual-handset phone that can get a third-party translator in an instant, said Sgt. Carlos Nieves, an NYPD spokesman. 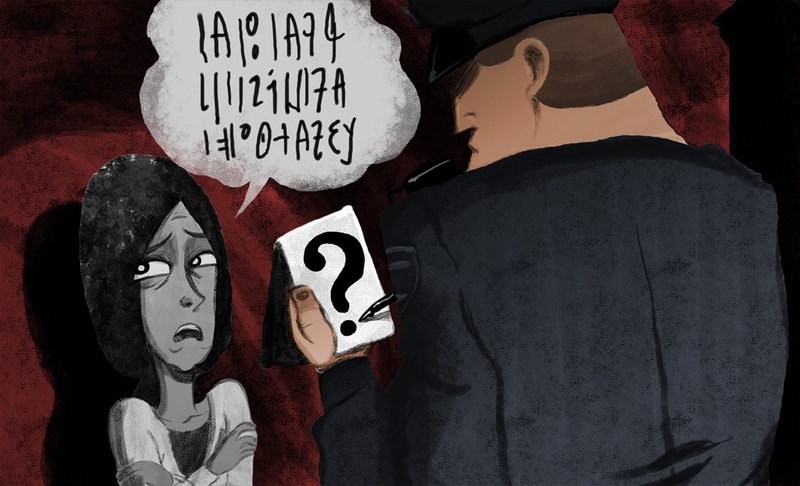 In a city of many languages, crime also has become polyglot. In September 2015, about 2.5 percent of calls to 911 required interpretation services, while the percentage for October was 2.7. In 2010, the most recent full year for which detailed statistics were publicly available, the Language Line processed 112,587 calls in 85 different languages. Spanish represented an overwhelming majority of those calls: 89 percent, followed by Chinese (6 percent) and Russian (2 percent). However, advocates point out, there’s a huge discrepancy between the number of 911 calls that need an interpreter and the actual number of requests for such services made by police officers in the field. For example, in November 2014, 911 operators processed about 7,000 calls that required an outside interpreter, but the police only used that service 32 times during the same period, WNYC reported. Some advocates contend that the NYPD’s record on providing interpretation services is spotty and that officers don’t always use the resources that are available to them. 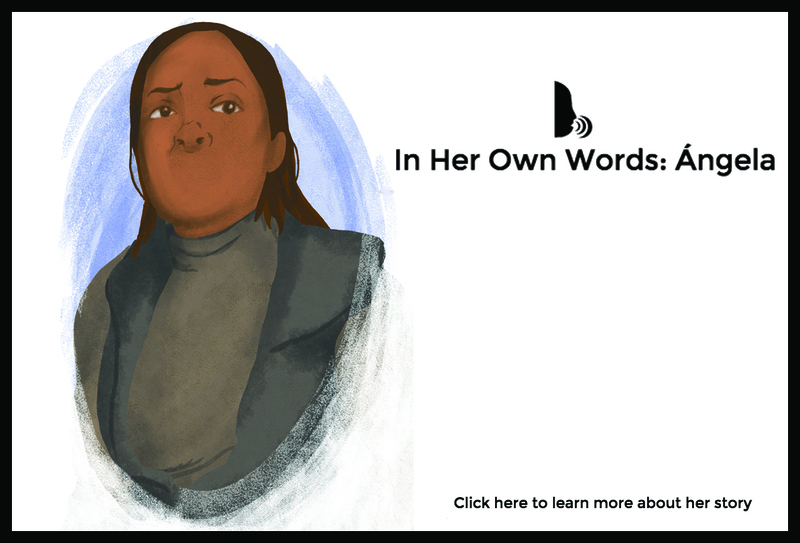 “What we see a lot is that, if a person speaks four words of English, she is told that she doesn’t need an interpreter,” said Carmen Maria Rey, a lawyer and deputy director of immigration at Sanctuary for Families, an advocacy group that works with domestic violence survivors. Rey said that some police officers don’t fully understand that people who can speak minimal English are often unable to convey complex situations. In 2010, the Department of Justice stated the department’s language access policy was “not fully in compliance” with the Civil Rights Act, which forbids discrimination based on nationality. A Justice Department follow-up review two years later found the NYPD to be in compliance. The NYPD notes there is no federal law or regulation that bars officers from using foreign language speakers who are not certified. “Beyond that, there is not a single documented case in which the use of a non-certified employee failed to translate properly,” according to the department’s website. But not every failure is documented, domestic violence victims and their advocates contend. 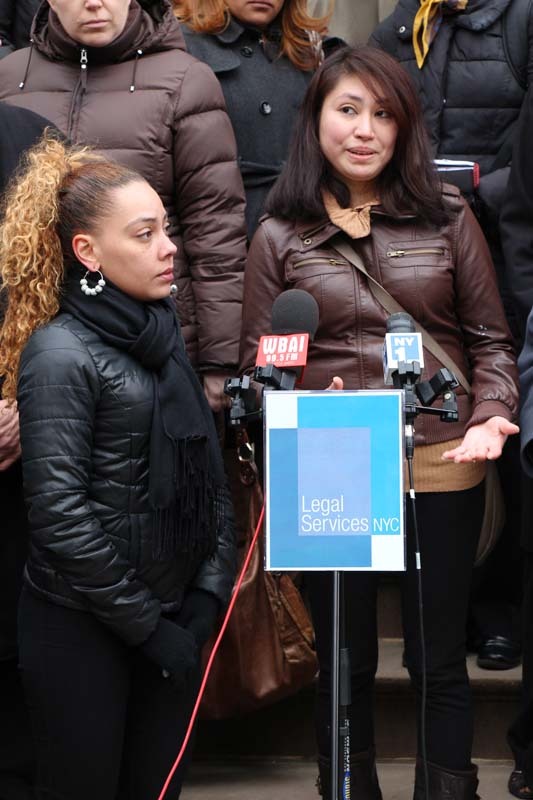 In May 2013, seven months before Deisy García’s murder, Legal Services sued the city in Brooklyn Federal Court on behalf of five Hispanic women – four of them survivors of domestic violence. All of five had been denied interpretation services that the NYPD is mandated to provide, the suit charged. The lawsuit [full document] also denounced “routine discrimination” against immigrant New Yorkers who seek police assistance. “NYPD personnel not only fail to provide language services, but on many occasions actively mock and humiliate LEP (Limited English Proficiency) individuals who request such services,” said the complaint, inherited by the De Blasio Administration and still unresolved. The lawsuit details several examples, including the case of Arlet Macareno, a then-26-year-old Mexican immigrant who says she called police after her husband pushed her down the stairs in August 2012. The officers who showed up at her Staten Island home ignored her request for an interpreter, talking instead to Macareno’s 22-year-old niece, according to court papers. When Macareno insisted on an interpreter, one of the officers told her, in Spanish, “Cállate la boca” (“Shut your mouth”) and ended up arresting her. On the drive to the precinct, the officers made jokes about the Mexican national soccer team, according to the lawsuit. Macareno, who was barefoot when she was arrested, said she spent the night at the precinct with no shoes. 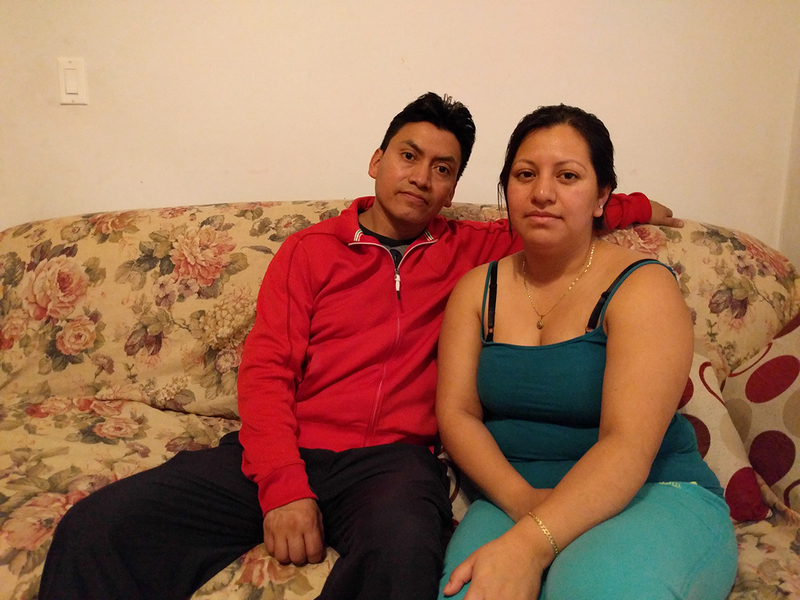 When plaintiff Wendy García asked for an interpreter after her husband slammed a door on her and pulled her hair in Queens in 2012, police told her: “This is America, you have to speak English,” according to court papers. The cases cited in the suit echo accounts by women interviewed for this story, among them Aida, a 42-year-old Mexican immigrant who called the police four times over the course of one year to report abuse by her husband. “I understand that we have to speak in English, but not all of us know how to,” said the mother of three, who is trying to learn English. Christine Clarke, an attorney at Legal Services NYC, said that 911 operators are often helpful with providing language assistance, but added that foreign speaking crime victims’ interactions with police can be less predictable. The NYPD language access plan includes guidelines for officers who encounter domestic violence situations. Officers are advised not to use family members – especially children – to interpret “due to fear of arrest of a family member or other personal biases,” unless there is no other alternative. The guidebook also recommends that victims be interviewed privately. “Using an alleged offender to interpret may increase the risk of purposeful misinterpretation and gives him or her control of the situation,” the guidebook states. Aida said the third time she called the cops, her husband started insulting her and threatening her in Spanish in front of the two officers. Advocates believe that the most effective way to push the NYPD and other city agencies to fulfill their Language Access Plans is to urge more women to demand their rights. 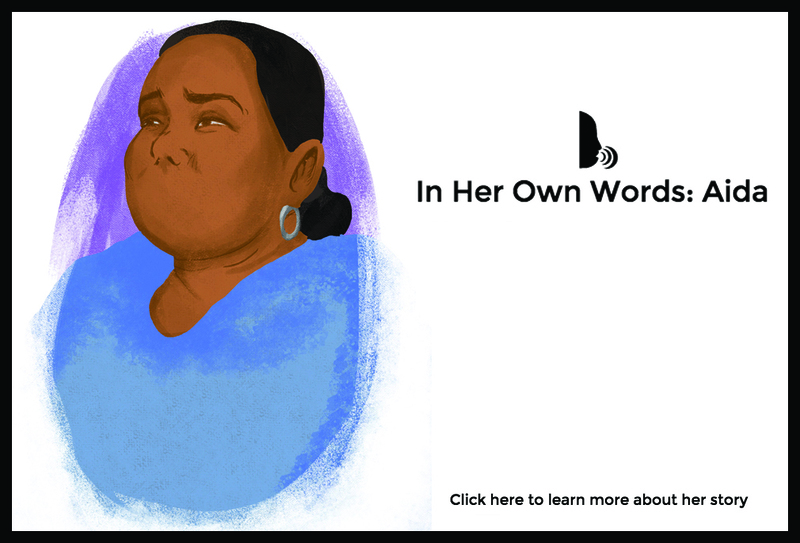 The Violence Intervention Program, an organization that helps Hispanic domestic violence victims, gives women a piece of paper stating their right to access an interpreter. The women are encouraged to carry the paper with them show it to authorities when needed, said Lorena Kourousias, program coordinator of the organization. Some domestic violence victims and their supporters, though, are learning the value of speaking out. Hundreds of women wearing white wedding dresses participated in the Sept. 26 annual Brides March through Washington Heights. The yearly demonstrations mark the 2001 slaying of Gladys Ricart, a Dominican woman murdered by a former boyfriend on the day she was to marry another man. Advocates they see the Legal Service lawsuit as an additional step toward progress. Clarke said her group hopes to drive change in the enforcement of the language access policies. “Litigation can be a way that sort of helps move that up a little faster and also could help uncover problems that nobody wants to look at,” she said. Abusive husbands yield weapons beyond physical violence. They can isolate their wives, forbidding them, in some cases, to work or socialize. Many immigrant domestic abuse victims are poor and uneducated, with no network of support amid cultural taboos about reporting their husbands to law enforcement authorities. “Abusers consistently threaten them, saying that they will get deported if they go to the police,” said Kourousias. 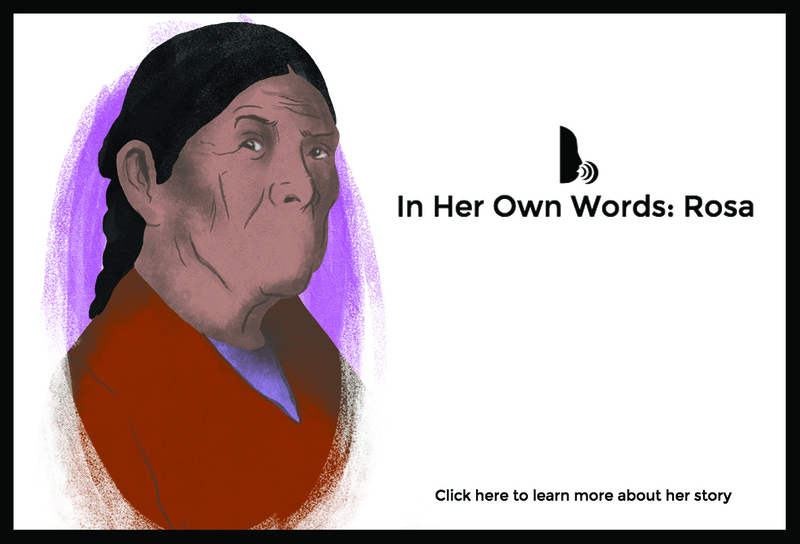 That matched the experience of Rosa, a 56-year-old mother from Provincia del Cañar in Ecuador. Many undocumented women who are victims of domestic violence don’t realize they are eligible for a U Visa, a special permit that the Department of State issues for immigrants who have been crime victims. Last year, 10,000 of these visas were issued, mostly to victims of domestic violence, sexual assault and human trafficking. But it sometimes can be difficult for women to convince authorities that they’re victims of serious crimes. “If, for example, a person was choked, but the police record says that she was pulled by her hair and the officer writes that the crime was just harassment, that’s not enough for us to try to make a case for the U Visa,” Rey said. Claudia, a 34-year-old immigrant from Mexico, got her U Visa after surviving the hell of domestic violence. Before her husband was deported, he threatened to kill her parents back in their town in Mexico. With the visa came a feeling of relief, but the shadow of that menace remains. “I often think: What if he does something someday?” she said. To be eligible for a U Visa, a crime victim must cooperate with law enforcement officials. But many undocumented immigrants try to avoid interactions with police at all costs. For some undocumented immigrants, the fear of deportation eased after President Obama’s decision in November 2014 decision to shut the federal Secure Communities program, which allowed local authorities to share fingerprints of jailed immigrants with the Immigration and Customs Enforcement agency. New York is among the cities that didn’t follow the program, which started in 2008. That decision might have helped Mejía Ramos. In July 2010, he was stopped for a traffic violation and immigration officers started a deportation process. However, in April 2013, his case was closed because it didn’t match the federal guidelines to focus only on serious crimes, an immigration official told The New York Times. Nine months later, Mejía Ramos would murder his wife and daughters. It’s a sunny early December Sunday afternoon in Queens. As she does every week, Luzmina Alvarado attends services at the Iglesia Naciones Unidas en Cristo church in Jamaica. She said that going to the Sutphin Boulevard church eases her grief. So does looking at the pictures of her daughter and granddaughters on the walls of the modest apartment Alvarado shares with her three sons. 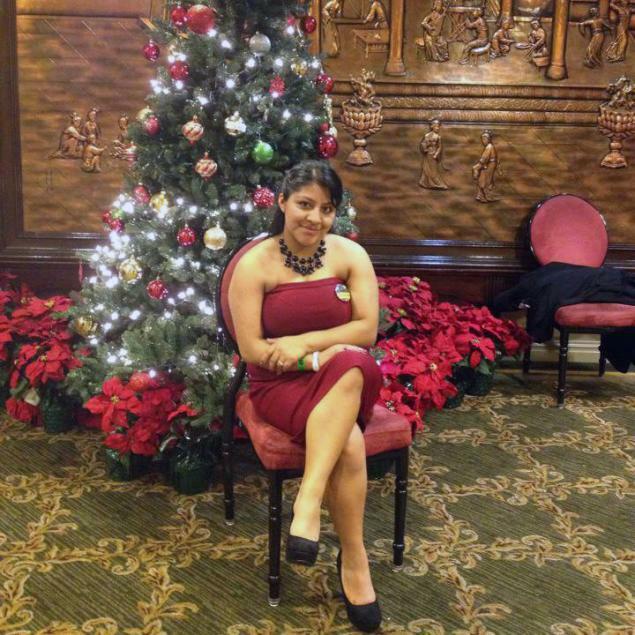 She points to the last picture her daughter took: A smiling Deisy García, sitting in a chair in front of a Christmas tree. In another photo snapped that day, García, Yoselin and Daniela pose in front of the tree, wearing matching red dresses. As the second Christmas without her daughter and granddaughters approaches, 37-year-old Alvarado says she still doesn’t feel like celebrating the holidays. This year, at least, she set up a small tree with white lights. Last year, she spent Christmas weeping. She’s not the only one. Her sister, Sara Alvarado and brother-in-law Romeo Chuc, who discovered the bodies, are still haunted by the memory. Sara Alvarado went to therapy for seven months until she ran out of money. She doesn’t spend much time these days with her sister – it’s too painful for both of them. After García’s death, NYPD officers were instructed to translate every non-English domestic violence report. Nieves said the department is testing a Microsoft translation app that recognizes the language a person is speaking. The NYPD estimates that all 35,000 officers will have a Nokia phone with this app by April 2016, Nieves said. On Nov. 21, 2015, just in time for the International Day for the Elimination of Violence against Women, Gov. Cuomo signed a law, prompted by her slaying, that requires police statewide to rapidly translate crime reports to English. Before that, there was not a protocol outside the city. State Senator Brad Hoylman (D-Manhattan), the sponsor of the bill, said learned about García’s case through the press. “We hope this is a small comfort to her friends and family,” he said. But Alvarado did not know that her daughter’s death had inspired a bill and she said that no one from the NYPD or the city has offered to help her. She said she understands that her daughter wasn’t American, but notes that Yoselin and Daniela were born in New York. “They had rights, but it seems as if they were worth less than a little dog,” she said. Alvarado, who works cleaning houses in the city, spends much of her time thinking about what was and what could have been. She started working in Guatemala City as a babysitter at age 12. She married at 14 and had Deisy less than a year later. 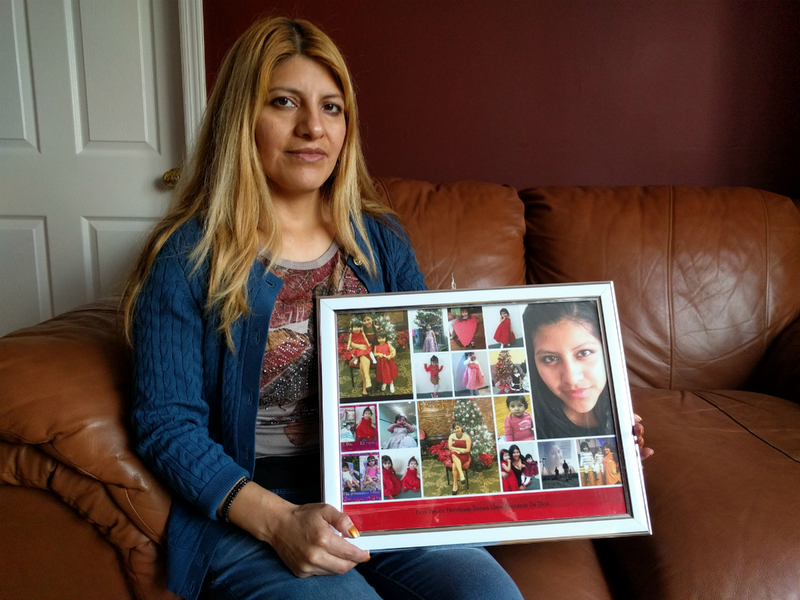 She said she worked hard to bring Deisy and her three younger brothers to the United States. “I wanted a different future for her,” she said.